Your membership covers you, a spouse or significant other, and children age 24 or younger licensed to drive, operating your RV or other vehicles owned, rented or borrowed. Priority RV Road Care's Platinum Plus membership includes emergency roadside assistance and concierge services that you can use both on, and off, the road. We'll guide you to the best campsites, make your dinner reservations and refer you to exciting, local activities. 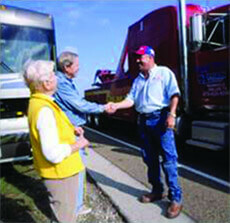 We'll even deliver your RV to you, help you find the lowest price gas stations and more. Worldwide travel assistance and medical assistance are available for expanded travel protection. Platinum Plus features 24/7 technical assistance from our staff of RVIA/RVDA and ASE Certified Technicians who speak directly with you to troubleshoot operational issues. Should you need emergency roadside assistance, our vast network of service providers offers a wide range of services to handle the special needs of your RV. 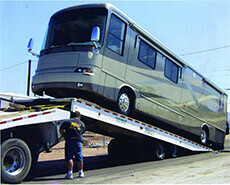 Towing your disabled vehicle to the nearest qualified repair facility regardless of mileage or dollar amount. Changing of your vehicle's flat tire using the vehicle's good mounted and inflated spare tire, delivery of a comparable tire to the disablement site or for towing of your vehicle to a repair facility. Gasoline, oil, water, transmission fluid, power steering fluid and brake fluid delivered to your disabled vehicle, as necessary to remedy the disablement. Delivery of locksmith services to your vehicle and assistance in the opening of your locked vehicle, and/or obtaining a replacement key. A jump-start for your vehicle's dead battery or a tow to a qualified repair facility. Dispatching of a mechanic to the site of your mechanically disabled vehicle. In an unfamiliar territory, where do you go for service should the need arise? We'll notify the closest, qualified service facility, discuss your situation with the appropriate contacts and make your appointment. You will have access to a full range of services to make life easier. You probably paid too much!